Almost no home is going to be perfect (even new or recently built construction). Inspectors will usually discover some issues needing attention or that the buyer and seller should be aware of. 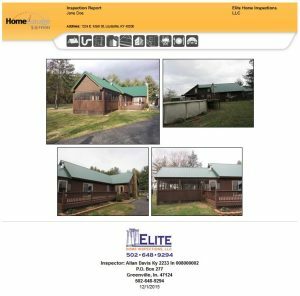 These sample home inspection reports reflects a typical home in good condition. I use the HomeGauge service to deliver my reports to my client and their agents over the Internet and they can be viewed very easily. Please click on the image below for my sample report. This is a real inspection report with the name and address changed. Remember, this is a house in good shape! What is your house hiding? Click the image to view my Sample Report now! The home inspection report you receive is an important part of the home inspection process. It’s another reflection of the quality of the home inspection you receive. I’ve heard many war stories from friends about their home inspectors. Most said that their inspectors ran through their house as fast as they could, usually less than 1 1/2 hours. Other said that the reports they got were photocopied, hand-written reports that no one could read or understand. One of my friends got a report that was just three pages long with no information except “House was in good shape for the age.” Not Allan. See the full review and more Louisville Home Inspection Reviews.